Let’s be truthful. For most of you, predator hunting is an escape and an important element of that escape is looking for new gear. 2019 won’t disappoint. From inexpensive to big ticket, there are numerous new items to help you bring home the fur. From ammunition to calls you’ll be able to increase your success with these new items unveiled for the 2019 SHOT Show. You don’t go predator hunting without a call and Primos unveils its Triple Dogg 360 Call. You’ll take a second look at its unique designed conceptualized to cast a full 360 degrees of sound. Predators fore and aft will hear the racket. It’s preloaded with 75 sounds and the sounds from five experts are also included calling for you. The Triple Dogg links to other Dogg net devices and even streams music anywhere in case you want to party after the hunt. With the mobile app you can download sounds and control the device from your smartphone. It retails for $249.99. Equipped with a new call it’s now time to hide out. The experts at Double Bull unveiled SurroundView technology in their blinds during the 2018 show season. For 2019, they’ve shrunk this technology into a compact, two-wall, portable blind. 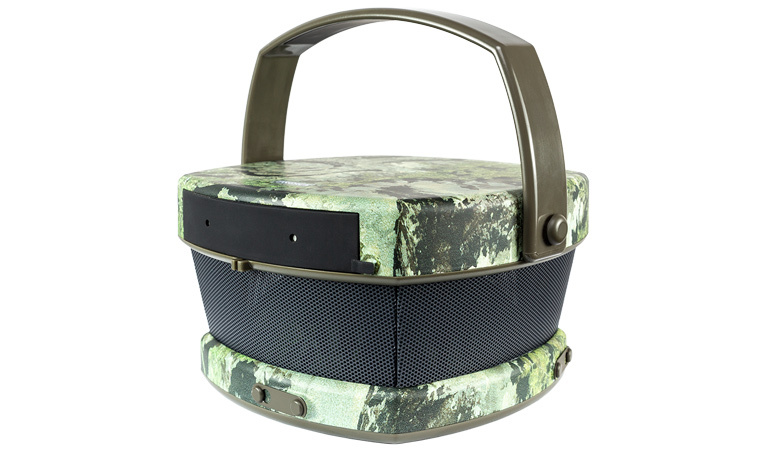 The Stakeout Blind weighs just 4.5 pounds, utilizes two hubs for easy set and shines with its see-through walls. You won’t have to peep through a window to spot an incoming bobcat. Three triangular windows open and close easily for shooting, and the 37-inch height hides you while seated comfortably behind it. 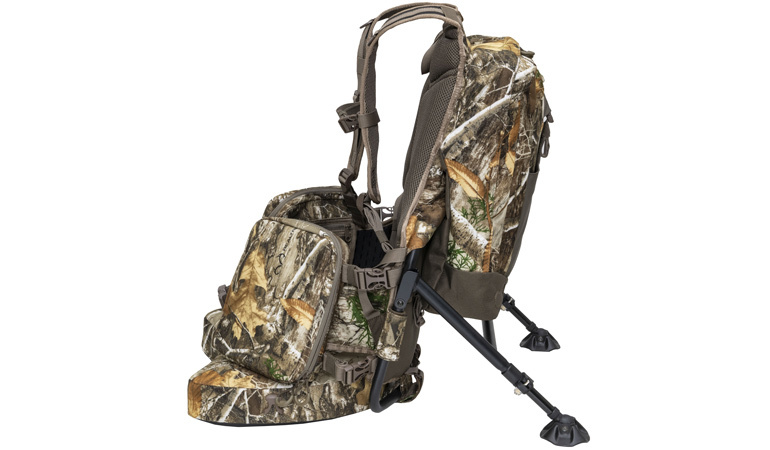 This baby has applications for all hunting seasons and is priced right at $112.99. Enough with being a scrooge, let’s spend some cash! 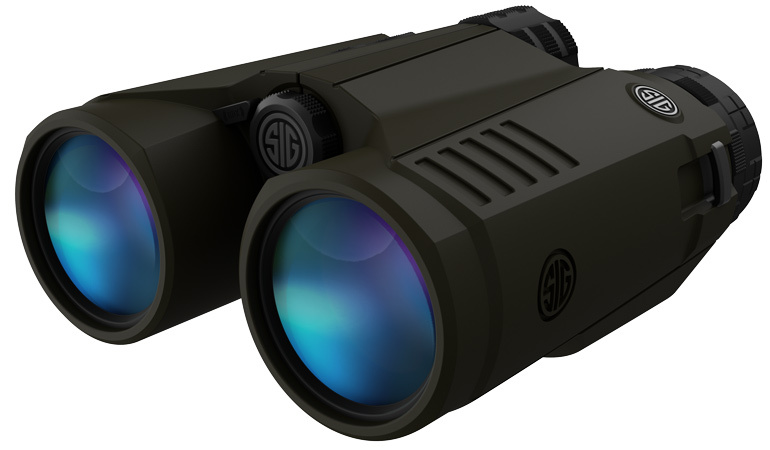 The new Sig Sauer Kilo3000BDX laser rangefinding binocular is a good start. You know you’ve always wanted a pair and this 10x42mm combo ranges to 5,000 yards to the nearest 1/10 yard. Brightness is adjusted automatically to match changing light conditions and all lenses are ED glass, and fully multi-coated. HyperScan technology provides four updates per second when in scan mode. There’s way more features, but read this. When paired with the Sierra3BDX riflescope the onboard calculator of the binocular sends ballistic data via Bluetooth straight to the riflescope for illuminated, holdover information on the reticle. It’s a win-win and to get into the game you have to squirrel away $1,439.99. I’ve even seen it priced as low as $1,200 for the quality product. And remember, this replaces both a binocular and rangefinder so the savings might even be bigger. You’re starting to feel the weight of all your mental purchases, right? Consider the new Alps OutdoorZ Enforcer pack designed specifically with predator hunters like you in mind. The pack wears like any other, but that’s where the similarities end. A comfy, 3-inch-thick memory foam seat folds up into the kickstand frame to create a chair you’ll fall asleep in for sure. Large swivel feet hold the chair firmly while you rest into the main compartment for back support. 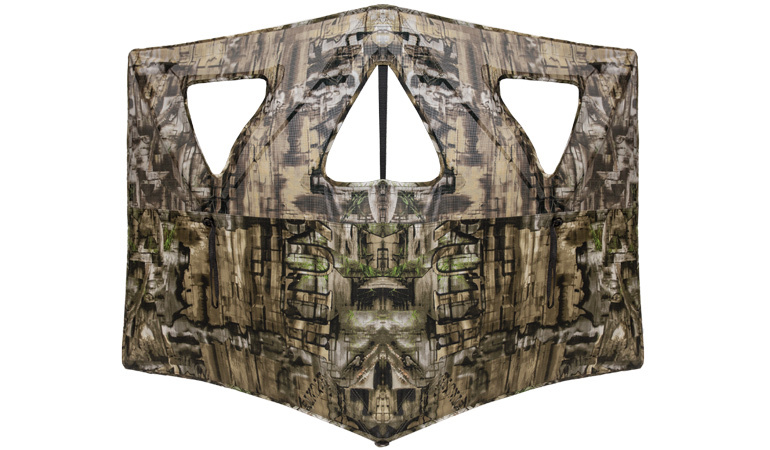 A large cargo compartment holds calls and decoys while front compartments give you room for odds, and ends. Two additional, removable pockets rest on the waistband adding even more space for your junk including loops for shotshells and extra cartridges. The pack is also hydration compatible. It weighs 7.5 pounds and retails for $179.99. That’s economical for La-Z-Boy quality in the field. You know that predators have some of the best schnozzes in the business. You also need to keep your budget in check after looking at the binocular above. 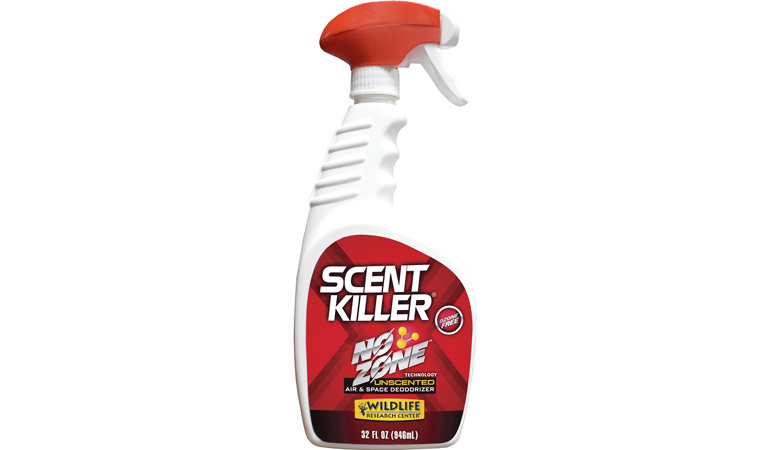 Erase all the scent around you and on gear easily with Wildlife Research Center’s Scent Killer No Zone. Sold in a 32-ounce bottle, this technology focuses on attacking and destroying odors that contaminate air, and space. 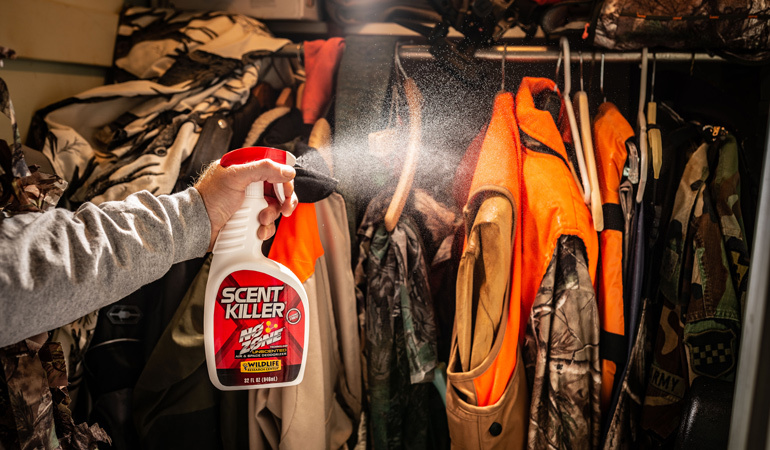 The convenient sprayer dispenses an unscented, odor-fighting formula to ensure your hunting areas are as invisible as you. Use it to strike at odors in your hunting room, closets, duffle bags, backpacks, hunting camp and even in your hunting vehicle. It’s ozone free and if you need the price you probably can’t afford to go hunting anyway! You’re looking good with the new gear in mind, but you need to shoot good too. Check out the latest from Federal Premium Ammunition. They know a hot seller and the .224 Valkyrie has been turning heads. With all the attention Federal introduced four new options to put your .224 into the predator game. Check out the Fusion MSR in .224 designed around a 90-grain soft point for starters. Next, consider Federal Premium .224 Valkyrie loaded the 90-grain Sierra Matchking. 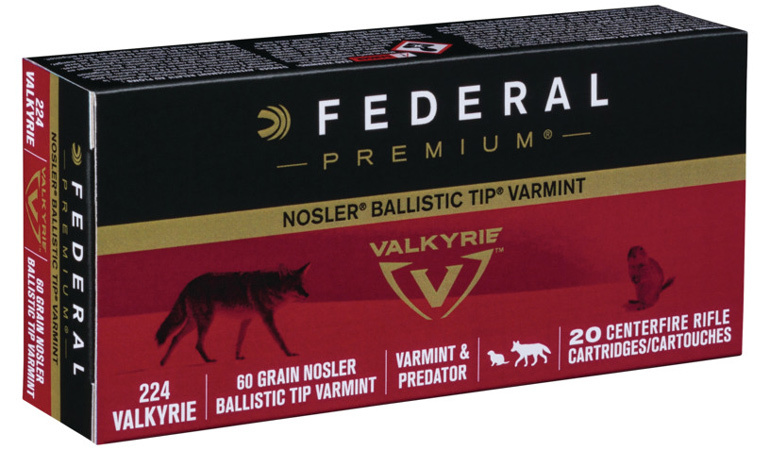 You can also get the .224 in Federal Premium loaded specifically for varmints with the 60-grain Nosler ballistic tip bullet. Finally, Federal offers the .224 Valkyrie in the American Eagle line loaded with a 75-grain Total Metal Jacket bullet. Hornady continues to promote the 6.5 Creedmoor (shown below) and offers both that and the .243 Remington in their new Outfitter ammunition line for the roughest predator hunts. This gnarly offering comes in corrosion resistance, nickel-plated cases topped with the GMX bullet. 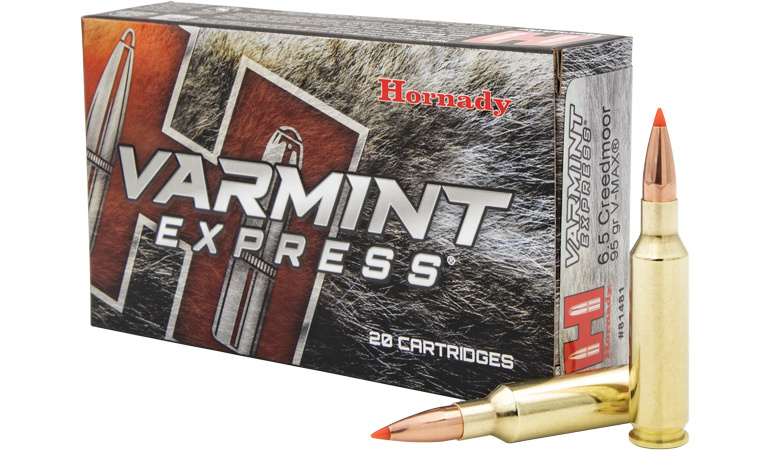 And if you need a true varmint classification on the box Hornady delivers. It has added the 95-grain V-Max in 6.5 Creedmoor and the 60-grain V-Max in .224 Valkyrie to the Varmint Express line. Even if the coyotes won’t come to your calls at least you’ll look cool and shoot with precision utilizing the latest from the 2019 SHOT Show.